Apartament Junoszy 12 in Lublin is an apartment building. 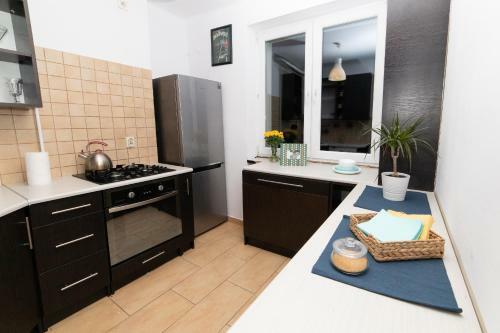 Located in Lublin, within 1.7 km of Krakowskie Przedmieście Street, Apartament Junoszy 12 is an accommodation offering city views. The accommodation has free WiFi. 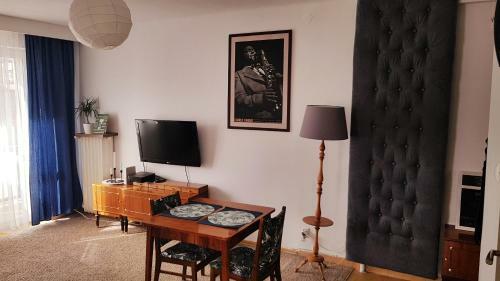 This apartment is equipped with 1 bedroom, a living room and a fully equipped kitchen with an oven and a fridge. 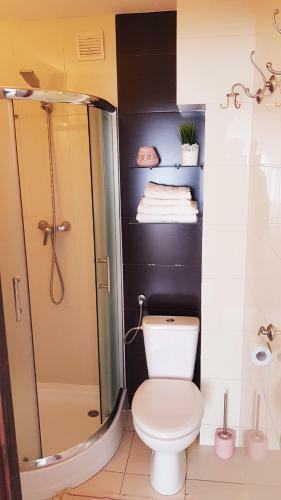 The apartment also has 1 bathroom. Both a bicycle rental service and a car rental service are available at this property. Czartoryski Palace is 1.9 km from the apartment, while Sobieski Family Palace is 2.8 km from the prop...erty. 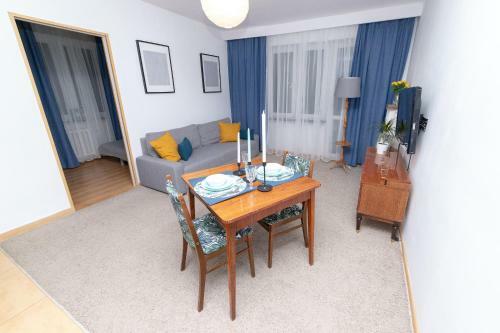 The nearest airport is Lublin Airport, 14 km from Apartament Junoszy 12. 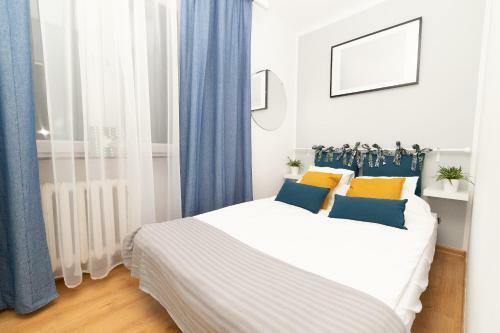 Located in Lublin, within 1.7 km of Krakowskie Przedmieście Street, Apartament Junoszy 12 is an accommodation offering city views. The accommodation h...as free WiFi. 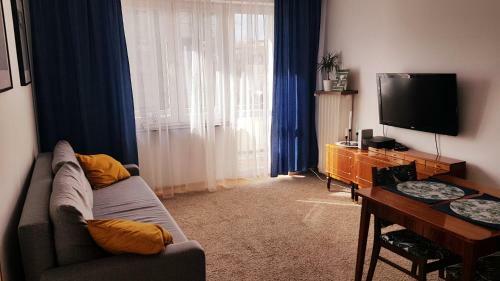 This apartment is equipped with 1 bedroom, a living room and a fully equipped kitchen with an oven and a fridge. 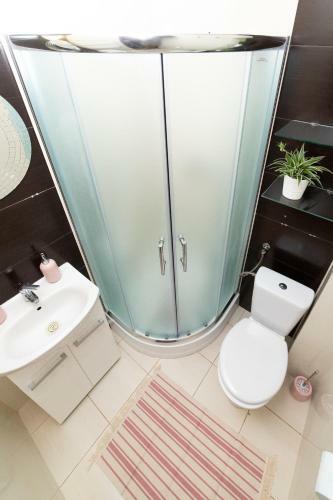 The apartment also has 1 bathroom. Both a bicycle rental service and a car rental service are available at this property. Czartoryski Palace is 1.9 km from the apartment, while Sobieski Family Palace is 2.8 km from the property. 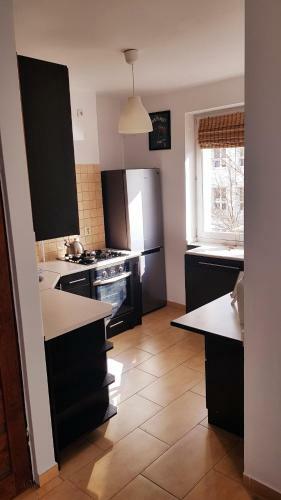 The nearest airport is Lublin Airport, 14 km from Apartament Junoszy 12. 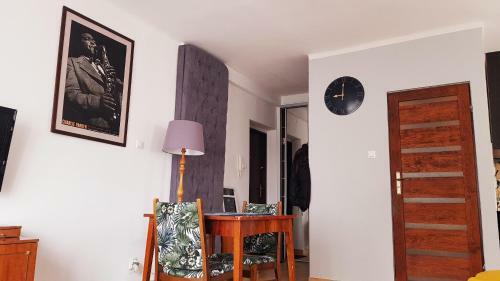 When would you like to stay at Apartament Junoszy 12? Children and extra beds All children under 9 years stay free of charge when using existing beds. 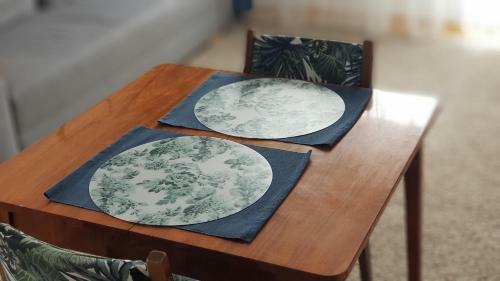 There is no capacity for cots in the room. There is no capacity for extra beds in the room. Supplements are not calculated automatically in the total costs and will have to be paid for separately when checking out. Please inform Apartament Junoszy 12 in advance of your expected arrival time. You can use the Special Requests box when booking, or contact the property directly with the contact details provided in your confirmation.